When you buy something off of Craig’s List of some other classified, it is sold “as is.” This means you take it like it is and can’t trade it in or get reimbursed for a new one. You can spend some time with it, improving it, but you take it as it is and work with what you have. You can’t buy a tricycle and turn it into a tandem bike. The same is true for our children. We need to accept them “as is.” We love and accept that child for who he/she is. We don’t try to turn the child into someone he isn’t. We can spend time with the child and help him improve and be the best him he can be, but we can’t make him be someone he isn’t. This means we accept our child as is. We accept the child whether an angel baby or a touchy baby. Yes, there are thing we can do to help that baby be the best he can be, but at the core, he is who he is. We accept the child whether she is inclined toward music, art, sports, books, dance, etc. This isn’t to say that we don’t encourage our child, and even require our child, to try and do a variety of things. We can require a child who isn’t athletic to participate in a sport. We can require children to read each day and to take music lessons. We can “expand their horizons” so to speak. We can expect them to do the best they can do in these activities. But we have to accept their best. The feeling of being accepted by someone we love is a basic human need. Being accepted by good people motivates us. It increases our sense of self-worth and self-confidence. Those who cannot find acceptance from desirable sources often seek it elsewhere. They may look to people who are not interested in their well-being. They may attach themselves to false friends and do questionable things to try to receive the acknowledgment they are seeking. They may seek acceptance by wearing a particular brand of clothing to generate a feeling of belonging or status. For some, striving for a role or a position of prominence can also be a way of seeking acceptance. They may define their worth by a position they hold or status they obtain. The reaction can vary from outright rebellion to trying to be so good and responsible that acceptance is offered. Now, this isn’t to say anyone who seeks or is willing to fill prominent roles are people who are insecure and looking for acceptance. They people who do these things for sincere desire to lead and help are the ones who are effective leaders. I would wager most if not all of us have worked under someone who has sought a position in order to boost self-esteem and have seen how that can turn bad fast. Externally, this seems a better path than the rebelling, but internally, the pain is just as strong. I am not suggesting we accept anything and everything our children do. They need to be corrected, taught, lead, and encouraged. But at the core, they should always be loved. No matter what they may have done wrong, your love should be constant. Withdrawing love will cause your child to turn to this bulleted list above in order to find acceptance. It is also important as your child gets older to recognize who your child is and what your child’s passions are. Accept those. Do not impose your past insecurities on your child. If you wish you had done/been something but didn’t, don’t make your child be that person. If you were something you liked, don’t make your child be that person, either. Help your child be the best version of herself–not a clone of your best version of yourself nor a best version of your wished self. 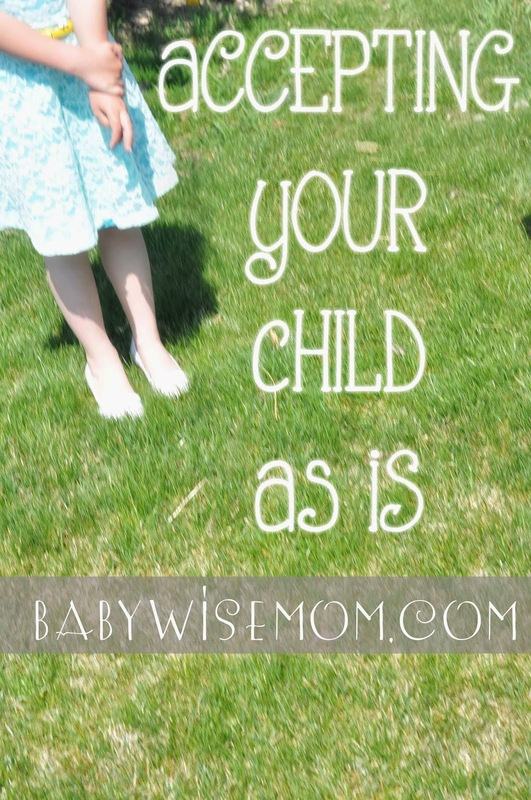 Accept your child as is.